Listed below are Lawn, garden & patio items for you to car boot sale online here that you will find available in London. If you cannot find the Lawn, garden & patio items that you are looking for in London you can add your wanted item to let sellers contact you if they have any Lawn, garden & patio items available for you. You can keep your contact information confidential. Enter only an email address in your car boot sale ad to receive offers into your account on our system. We will remind you automatically when new offers arrive for you. To offer your items for sale on this online car boot sale in London simply click Post free ads for Lawn, garden & patio link below or the button Post free ad in top right corner of this page. It is fast, easy and free to post an ad in 2lazy2boot. It will take you just few minutes to have the ad seen on our listings. You can then edit your ads any time by clicking “Member area" button on top right corner of this page. 2017 Customer Service of the year award for utilities winner First Utility is recognized as the largest energy supplier after Big Six energy companies. 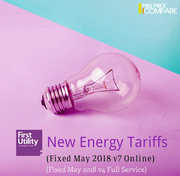 First-Utility aims to make energy shopping straight-forward, painless and great value for money for everyone. Company supplies gas and electricity to over 1million UK homes. Coopetrative Contractor, is one stop destination for Driveways, Block Paving, Landscape and Patios in Wickford services. Elegant and attractive options for Driveways are offered at affordable prices. It offers excellent services against competitive Driveway prices in Wickford. 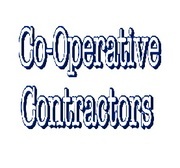 http://cooperativecontractorsltd. Fast Flower Delivery company was established after a huge gap in the UK florist marked was discover with the need of a reliable florist who guarantees to deliver quality products, expertly designed on time, every time. We operate a fresh flowers, gift delivery service throughout London and UK. All our flowers are beautifully presented and hand delivered in a water pack. Add a glowing and dreamy look to your conservatories by using these beautiful and gorgeous blinds especially designed to use with conservatories. Visit us at http://www.pippasblinds.com to choose from a large collection. We have a huge range of quality made to measure blinds measured and fitted - we cover the cambridgeshire and hertfordshire area in the UK. The 3m x 4.5m pyramid roof pop up gazebo tent has an elegant pillar-support roof design. Its three stage height adjustable legs with external pole cover curtains hide frame poles and keep wind out. And this white pop up canopy 3m x 4.5m has double layer fabric to internal corners of roof cover for extra strength and high quality 200g polyester backed with PA coating and shower-proof. As new , never been used automatic watering system with underground pop up sprinklers. invoice and user manuals. New £500 for sale £250. Well here you go. Good luck with your on line car boot sale in London. We hope you have some success and find buyers/sellers that you are looking for in Lawn, garden & patio . Don’ t forget to comment any successes in selling your Lawn, garden & patio items in London to our valuation window and report forum! We are sure you will find many people in London looking for your Lawn, garden & patio. London car boot sale. Lawn, garden & patio for sale ads on online car boot sale in London, second hand Lawn, garden & patio for sale in London, Lawn, garden & patio ads for free in London, 2lazy2boot - London car boot fairs.